As you might have noticed there's not much choice of aftermarket Exige V6 front discs. 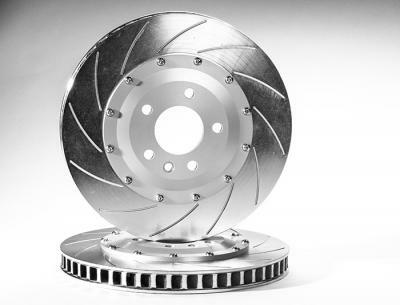 Because of that we have chosen to design our own disc rotors specifically for this application. Doing our own design meant we could optimize weight and we were able to design the optimal internal vane design for the Exige V6. These discs weigh 7.2kg each which means they're one of the lightest discs on the market. We have chosen to have the aircraft grade aluminium bells anodised in silver to create a more OE-like look. Apart from that, silver absorbs less heat.. every little thing counts! The bell design also improves airflow, which again means better cooling. 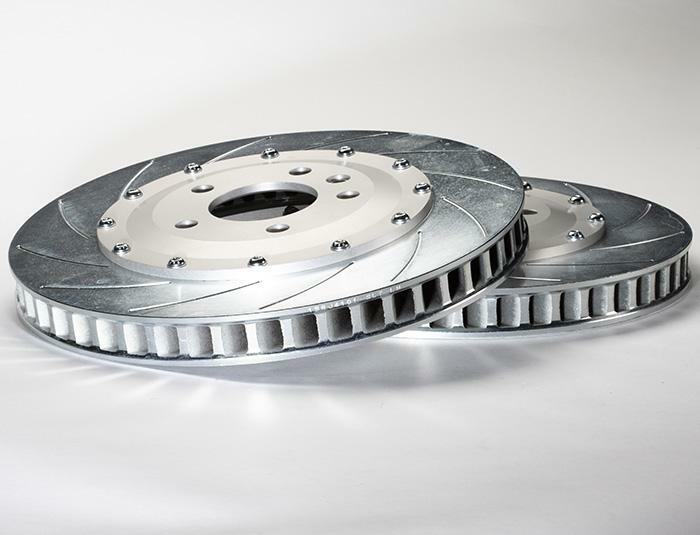 All discs supplied have been torqued up using the correct torquing procedure. 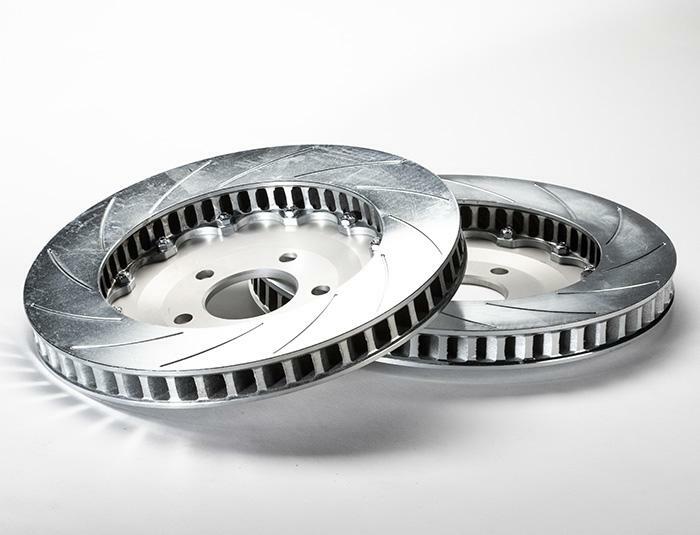 Mechanical dimensions are equal to the original brake disc design on an Exige V6. There's no need to make any modification to use these discs. Dieser Artikel wurde am Tuesday 09 October, 2018 eingetragen.